During our childhood years when we played outside, we had all kinds of outdoor games at our disposal, to play with our friends. A wide array of games like tag, tug of war, all aboard and hide & seek filled our summer holidays. Imagine if one of those outdoor activities was implemented into a video game? Witch It is one of those games that took the foundations of outdoor games like tag and hide & seek into a virtual playground. The idea isn’t new as a similar concept has been introduced in Prop Hunt, one of the many genres that spawned from the legendary Garry’s Mod. Barrel Roll Games, a 4-headed development crew from Germany, has released Witch It in Early-Access on Steam and are planning for a release on Xbox One as well. As the game is still in development, we couldn’t resist grabbing our pitch forks and torches as we participate in an early witch-hunt. 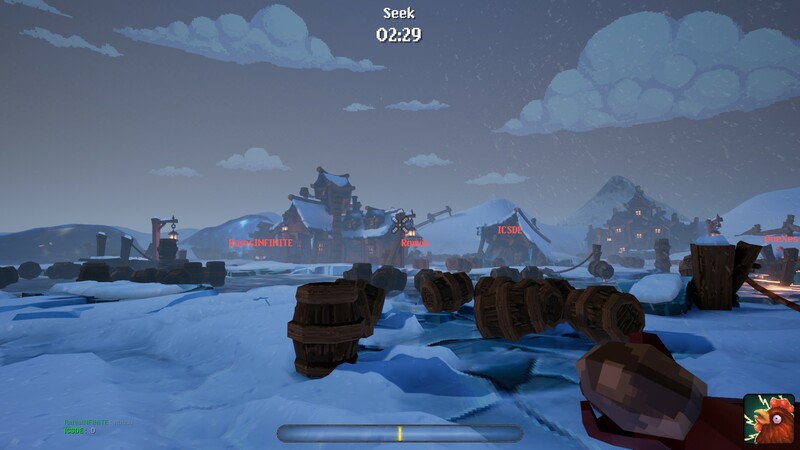 Witch It could be best called a multiplayer hide and seek game where you either play as a witch or a hunter. So far the game hasn’t been equipped with a narrated or well-written storyline or mode, but as it’s still in the midst of development, it’s curious to see what Barrel Roll Games might come up with in the near future. The setting and the theme are an ideal chance and excellent starting point to create a humoristic and entertaining story element. But as it’s solely a multiplayer game, a story mode or singleplayer element wouldn’t be a that necessary in the end. 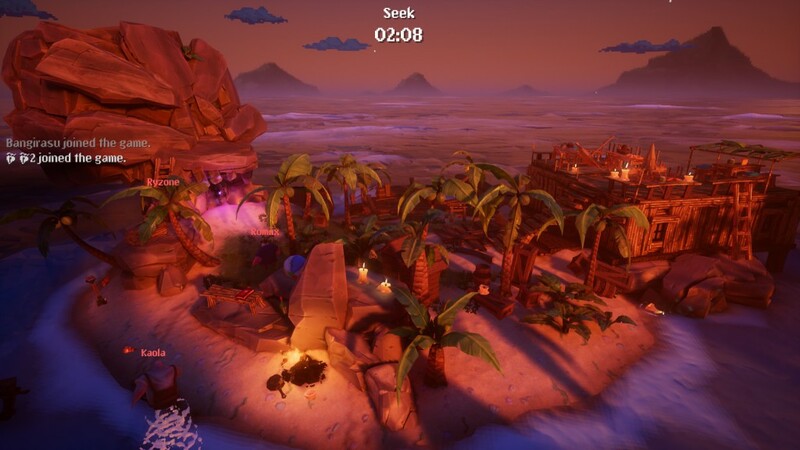 As the developers have put a lot of time and effort in this game, they created a charming and appealing setting. Even visually it looks charming and inviting the play. Both the characters and the maps are incredibly fun to look at. Witch It has some impressive artwork that is both bizarre and hilarious at the same time as it mixes a sort of cel shading cartoon-like visual style with old school graphics. Hunters look like a bunch of knuckleheads who miss a few brain cells while the witches look like clones of the Wicked Witch of the West. Especially the maps deserve lots of praise as they look amazingly idyllic and don’t feel like empty sandboxes as they’re filled to the brim with objects and details which can be used to your advantage depending on which side you’re playing. 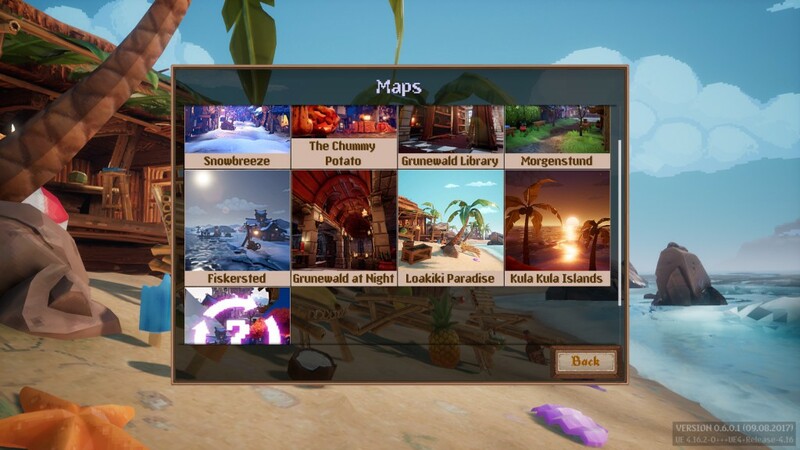 The maps definitely look like they’ve been built with lots of care and hard work. As for the game’s music, it still early to write a final verdict as it’s quite limited so far. Although every map has its own tunes and environmental melodies, it still feels incomplete and could use more bravura. The occasional grunts of hunters, screams of terror by dying witches, an unexpected cackling chicken running its course around the map and the ambient sounds of each map, make up for most of your audiovisual experience during your playing sessions. Luckily, there is more than just potatoes and transfiguration at your disposal. As you gain experience with each match and level up, you gain new abilities. Witches will be able to fly on a broom for short periods of time to avoid hunters or can spawn decoys to mislead their chasers. Hunters can release a chicken which they can use as a witch tracking animal or perform body slams which they use to knock down obstacles. At the moment, there are only 4 abilities available per side. We hope that more will be added in the near future as this can greatly expand the tactical side of hide & seek/Prop Hunt. Barrel Roll Games have done a very decent job so far. 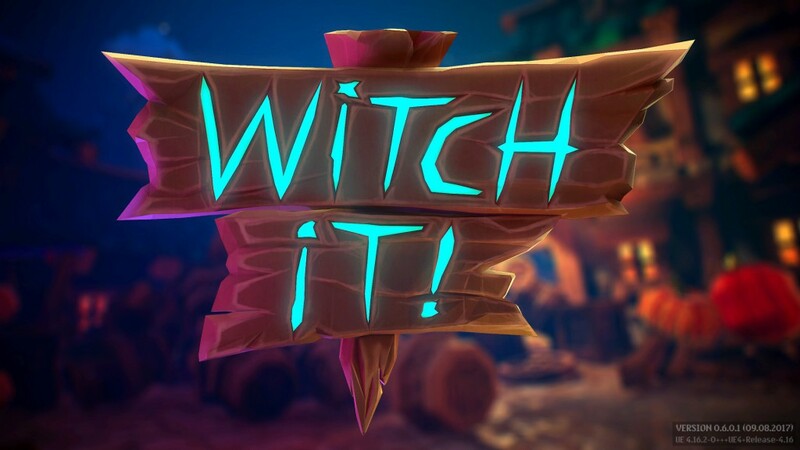 Witch It is a brilliant and fun variation on the Prop Hunt genre as it will invite players to beautifully designed and bizarre locations, keeping them entertained for hours. 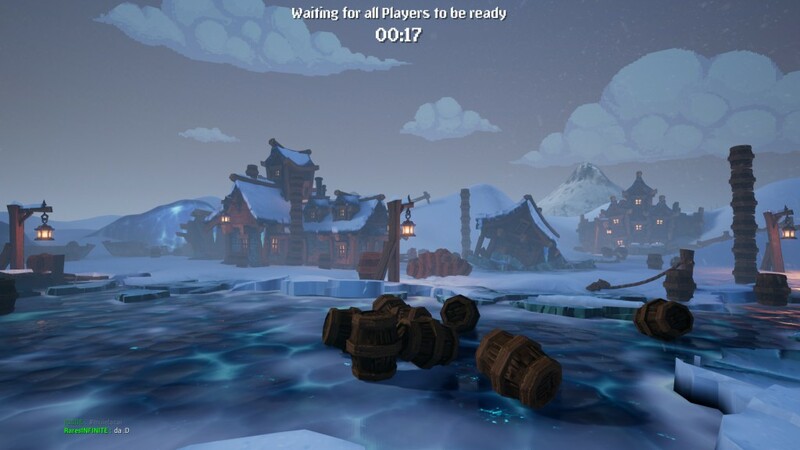 Players won’t have to fear for low server population as even during its Early Access phase, there is always a map with players to join. Its appealing visuals, its gameplay concept and setting will make Witch It an ideal game to troll each other and play with friends. We’re definitely a fan of the game and are looking forward to more in-game content and how the final game will look like.